Pastor Shon relocated from Compton California to Spokane Washington in July of 1994 and founded the ministry of Jesus Is The Answer Apostolic Church. He is the husband of Sister Ericka Davis and has three son's and one daughter. Pastor Shon served as a volunteer minister in the department of corrections (Pine Lodge and Airway Hights) for the past 10 years. He founded an after care home for ex-offenders transitioning from prison back into society in 2001 and has helped many offenders turn their lives around. In 1996 to 2000 Pastor Shon, Pastor Alvin and Pastor Jeff together founded one of Spokane's first Gang prevention and intervention program called God's Gym in downtown Spokane. This program ministered to an average of 200 to 300 active gang members every Friday night. God's Gym brought gang awareness to the school district, to parents and community leaders in an attempt to educate the city on what was and what was coming to the city and to discuss how we can work together to prevent the escalation of the gang and drug problem in our city. Pastor Shon has continued to serve as a mentor to at risk youth and as a referral for the school district to send troubled youth to for counseling and guidance. Pastor Shon himself is a former gang member and was born into a family that was already rooted into the original culture of the gang since the 1995 Watts riot. Pastor Shon lost two of his brothers who were killed in the gang and another in a car accident. This has been a motivator for Shon to become an advocate for youth to help prevent them from joining the gang and working with those already involved to help get them out and show them a better life that is more purposeful and meaningful. Victory Outreach is a ministry geared toward helping people recover from substance abuse and any form of drug addictions. This ministry is equipped with passionate people who have a call for gang prevention and intervention towards those that are looking for a way out of that life style. Victory Outreach is designed to minister to the restoration of the whole family by bringing healing to the areas that are causing the breakdown within the family structure. Victory Outreach has a women and men's home for a in patient type treatment that is biblically based. Our ministry have a successful rate of recovery for those that have come through our program. Our ministry has a long history in working with at risk youth and active gang members from California to Spokane. Victory Outreach was instrumental in forming one of the first gang prevention and intervention programs in Spokane called Gods Gym in 1996. A program designed to help youth address their own identity crises and to find security within a positive family structure that validates them for the person and purpose in which they were created to be. Pastor Alvin and Maria have served as the senior leadership of victory outreach for the past 16 years here in Spokane Washington and has proven to be a great asset and a vital ministry in this community. 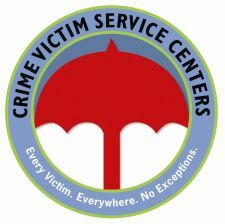 The Spokane Crime Victim Service Center provides the area's only 24-hour crime victims crisis line. Services are survivor focused and are free and confidential. Victims and Witnesses have options and rights. In 1991 Jeff and JoAnn Doud and their five children moved to Spokane from the Spokane Indian Reservation to start an outreach to Native Americans in the Spokane area. Jeff and JoAnn were pastors at West End Assembly of God on the Spokane Indian Reservation, when at the request of 1st Assembly of God they came to Spokane. For the first year the Doud family raised support for the Spokane Church plant by preaching at West End Assembly on Sunday mornings then driving 60 miles to hold a 2:00 P.M. Service in Spokane on Indiana St. across for 1st Assembly of God and than an evening service at any other AG Church in the region where they could share their vision for a Native friendly church in Spokane. Sometimes traveling another 50-60 miles for the evening service (Just an average Sunday). For the first few months the family lived in a n old 1960s school bus they had taken most of the seats out of and made a family bedroom out of the rest of the bus. On Sunday June 12th 2011 they celebrated their 20th anniversary in Spokane. Pastor Jeff and JoAnn continued their work with the Native community in Spokane and on the surrounding Reservations and Pastor Shon and Pastor Alvin continued the work God had called them to. Sometime around late 2008 the vision was rekindled through Pastor Shon and Alvin to come together again with Victorious Warriors and begin a new work together. Before long we were meeting together for a once a month multi -cultural meeting which have taken off and is dedicated to tear down racial walls starting with the Churches. It has grown to 8 or 9 Churches now and at the last meeting there were between 250 & 300 people from at least 4 different ethnic groups. There is still a vision and burden to reach at risk Spokane youth and Gang youth. Meetings between the Churches and the Spokane Gang Task Force have begun with hopes of providing safe havens for youth that want to get out of Gangs or just off the streets.